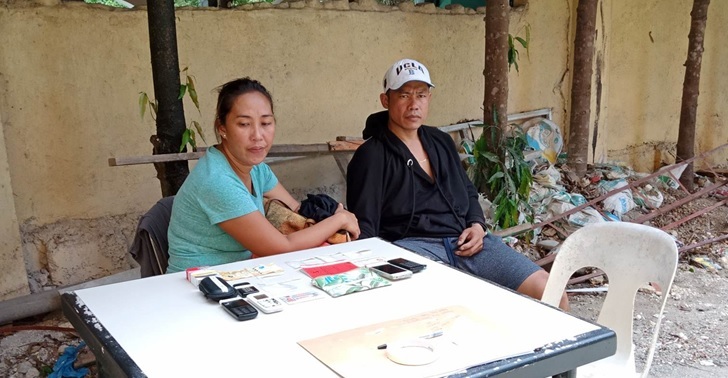 A woman included in the Bohol Provincial Police Office’s (BPPO) drug watch list was arrested by police after she was allegedly caught in possession of P300,000 worth of shabu in an anti-drug operation in Tagbilaran City on Wednesday morning. Joint police operatives of the Criminal Investigation and Detection Group (CIDG) and Provincial Intelligence Branch (PIB) subjected suspect Jasmin Suico, 41, to a drug buy-bust operation which also led to the arrest of her cohort. In a report, police said that Suico and her companion, Jovenal Remolador, sold shabu worth P500 to an undercover police officer. The suspects were immediately cornered by CIDG and PIB police officers led by Sr. Insp. Fritz Blanco and Sr. Insp. Jojit Mananquil, respectively, after the staged drug transaction. According to authorities, they recovered 20 grams of suspected shabu, four mobile phones and a weighing scale believed to have been used for sorting illegal drugs from the suspects. Both suspects are now detained at the BPPO headquarters at Camp Dagohoy in Tagbilaran City pending the filing of drug charges against them.